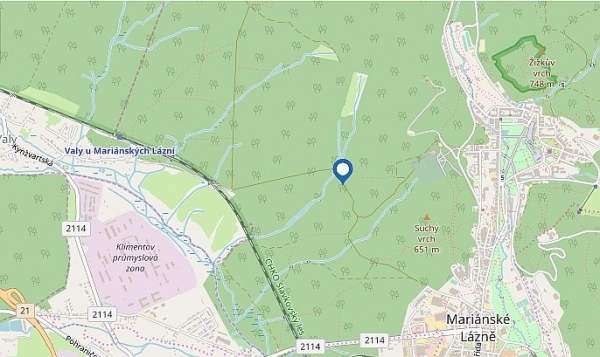 In the past this spring had the name Peat Bog Spring (Rašeliništní pramen) because it rose on the site of the peat bog 1 km west of Mariánské Lázně in the direction towards Valy. 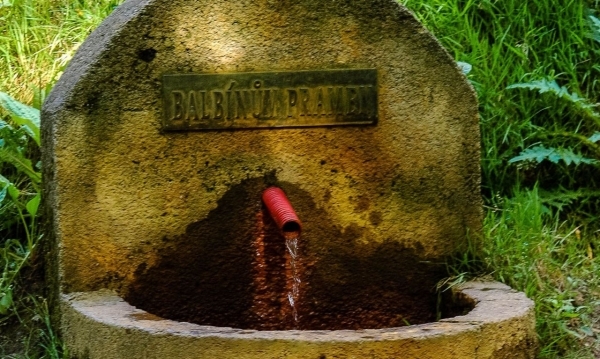 After WWII it was given the name Balbín after the spa doctor Bohuslav Balbín who in 1679 explained the chemical make up of the mineral springs in the Teplá area and their potential benefit to human health. On the Metternich walking trail (green). Pavilion in the center of town opposite the hotel Bohemia.